Register Online or Call 800.266.7576 to Register! For a list of workshops in the United States, see the Schedule of Events below or click here. For workshops outside the United States hosted by Kagan, click here. For international workshops hosted by Kagan Franchises, click here. To see a list of upcoming conferences where Kagan is exhibiting and/or offering a training session, click here. 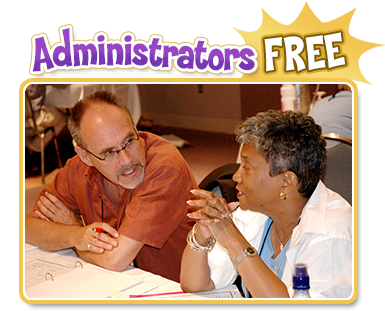 Exclusively for principals, vice principals, and approved district administrators. To host an engaging Kagan workshop in your own school or district, click here. Private workshop. Bring Kagan to your school or district. Graduate Courses are also available in Michigan. Click Here for more details.